Just had some coconut ice cream but now all I want is creamy smooth gelato! 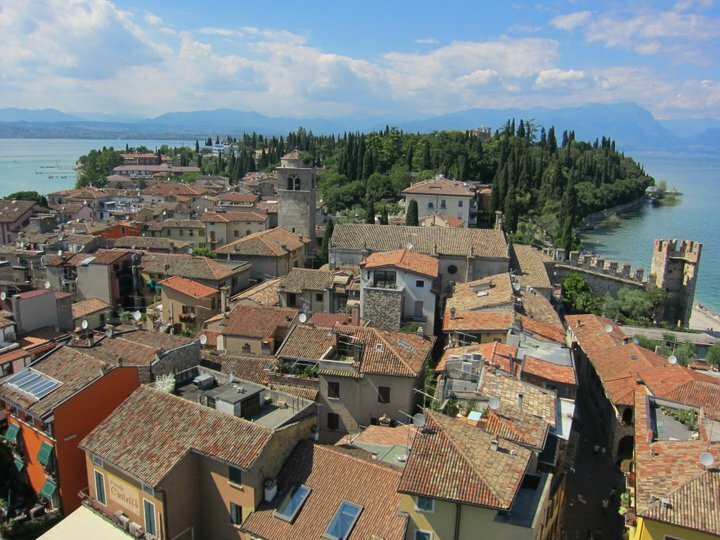 Why oh why can’t I be back in Sirmone, Italy, walking through the pedestrian-only cobblestone streets while licking a big gelato cone? THIS is what I had last year around this time. Gelato in flavors you don’t see much here. For ice cream, I like dark and luscious flavors like chocolate. 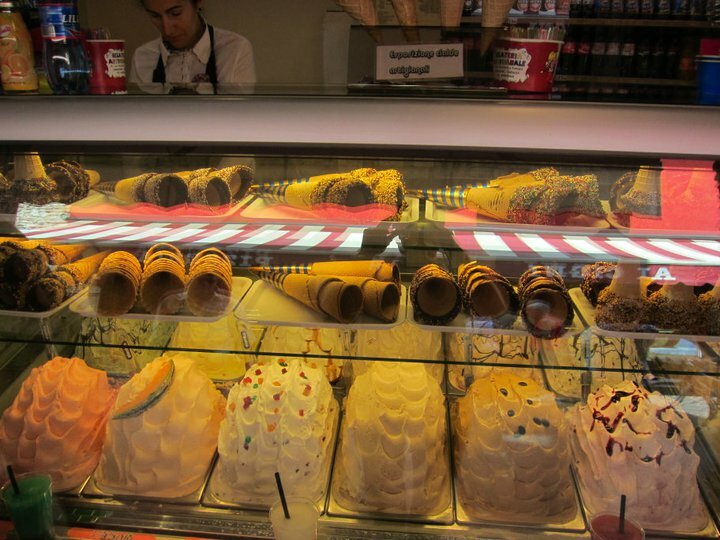 For gelato, I like fruity flavors like lemon and strawberry. 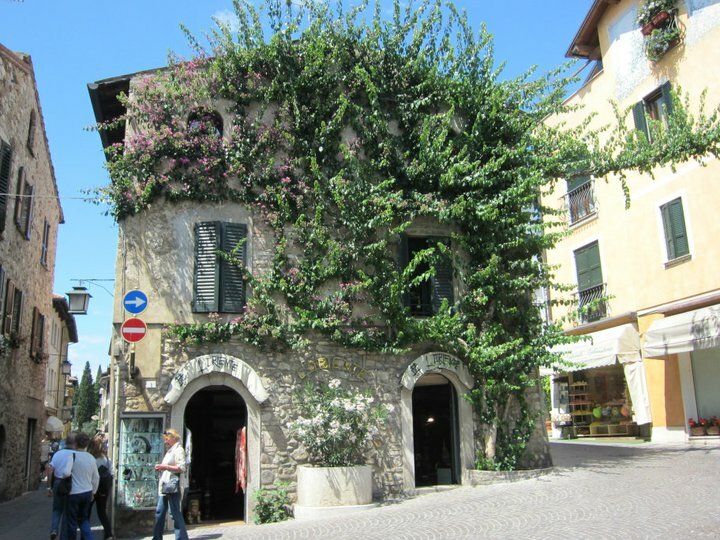 Besides eating gelato, we basically spent a day just walking around Sirmione taking in all the sights. 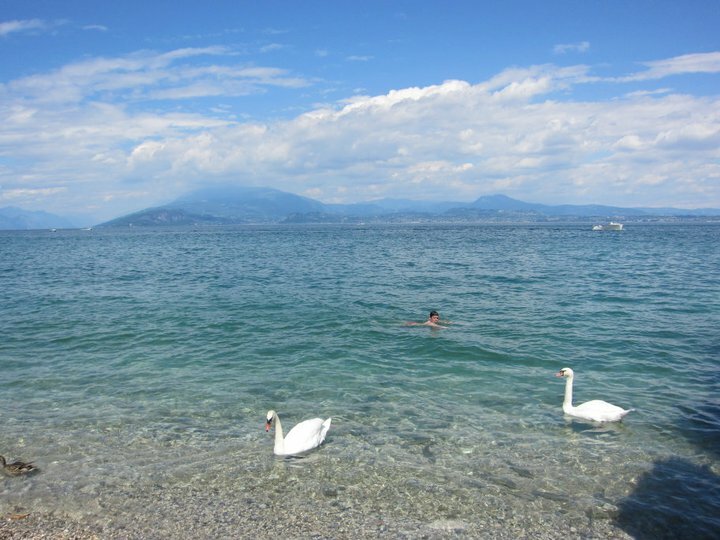 We had driven there after arriving in Milan from Amsterdam earlier that morning. One of the first things we saw was Scaliger Castle. Built in the 13th century, the castle helped defend the area from invaders. Walking over the bridge through the castle’s walls to get into the main town was seriously like something out of a fairytale. 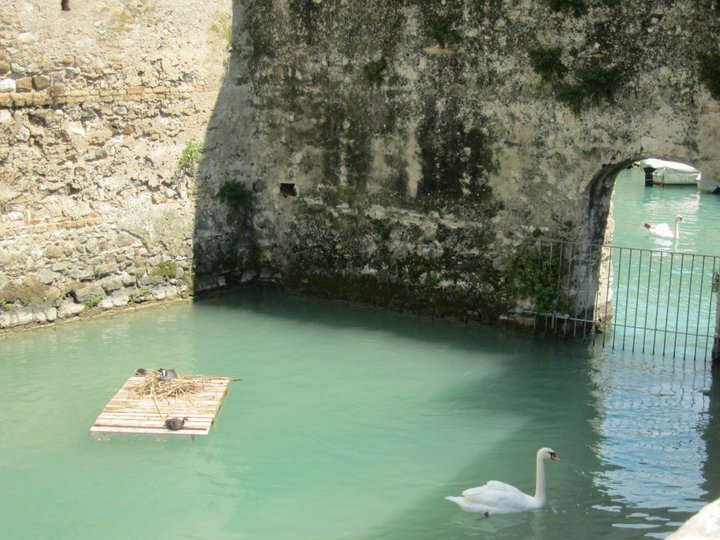 The fairytale continued when we got inside and were greeted by swans. We didn’t even bother stopping to sit down to eat and drink. We wanted to take in as much as we could in our short time there. After walking through town and along the beach, we walked back to the castle to go up the stairs (150 steps!) 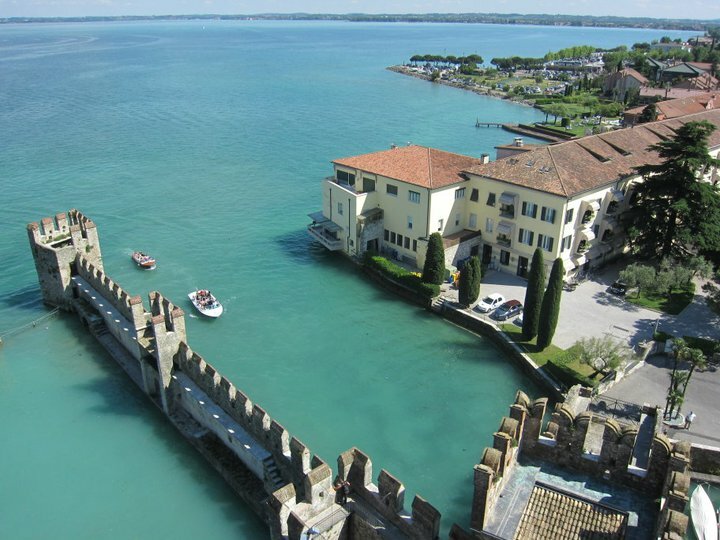 for a view of Sirmione. While we were up there, we saw a boat filled with a small wedding party go by. After taking in the views, we went down the harbor and took a boat ride with Virgilio Bertoldi. Mother-in-law actually got talked into the boat ride by a very handsome young man sporting an envious golden tan. When we walked down to the boat however, he left and out of the boat came a 85-year-old man! The elderly but sprightly captain has been doing his job for many many years. He didn’t speak any English but did crank up the Italian opera and showed up plaques that explained the area as we boated past. 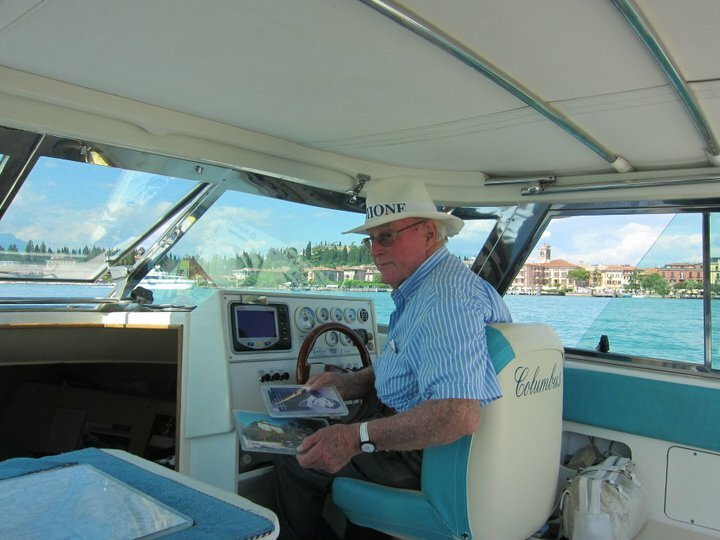 Some of the famous people he’s ferried around include Maria Callas, who had a (still standing) villa in Sirmione, Winston Churchill and Laurence Oliver. As we boated about, some guys on jet skis who wanted to show off surrounded us and put on quite a show doing wild turns and speeding about. It was the perfect ending to our short day in Sirmione. 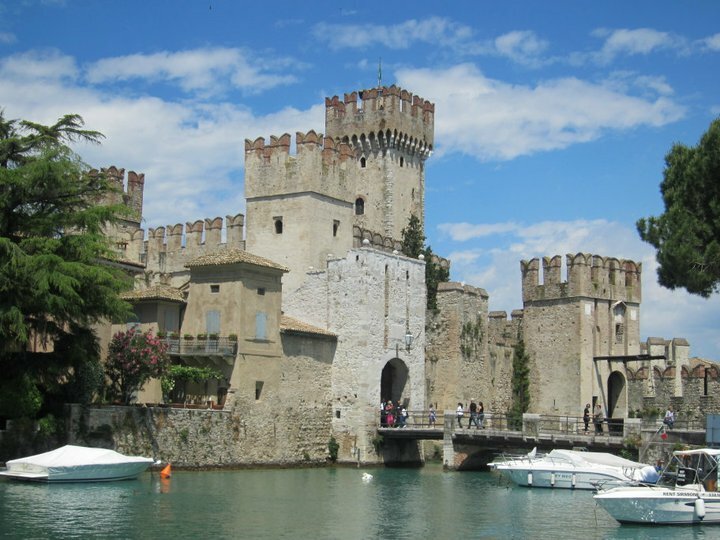 I love Sirmione…it is straight out of a fairytale. What a Beautiful Place – great photos – thanks for sharing!